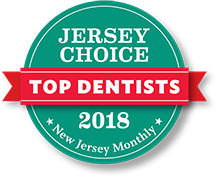 Both Dr. Christina Ciano and Dr. Geena Russo were born and raised in New Jersey, and there couldn't be a better home for Montgomery Pediatric Dentistry then right here in Princeton. We're on the border of Montgomery Township as well, which means we're also between Somerset and Mercer counties, conveniently located just off Highway 206. Not only do we have families that travel to our office from Pennsylvania and New York City, we even have patients from Australia and Canada who make a special visit to our practice when they're in the United States! Princeton is a wonderful place for families and our ultimate goal is to make sure our pediatric dental team is taking care of your family's dental needs. Our Princeton pediatric dental office is part of Autism Village — a program that helps families throughout the area easily locate businesses that are “Autism Friendly.” In fact, children with special needs are some of our favorite patients to work with! Each year Dr. Ciano participates in the Central New Jersey Autism Speaks Walk. It’s located right here in Princeton and is held annually each October. We’re also a member of the Montgomery Business Association, helping residents keep their shopping and business needs right here in the community. The network of business owners, healthcare providers, recreational outlets, and more makes it easy for Princeton residents to support neighbors in their community, while also enjoying healthy, active lifestyles. There's just something about spending summer days at the baseball field! Montgomery Pediatric Dentistry is a dedicated supporter of the Montgomery Baseball Association and we’re proud of their talented little league (and yes, some of them are our patients!). The league is open to children ages 4 through 18 who live in Montgomery, Rocky Hill, or Princeton. For more information on the Montgomery Baseball Association, be sure to check out their booth at Montgomery FunFest, held each September. Our office will be there as well, so you can stop by to meet our pediatric specialists and staff. FunFest is held rain or shine, so plan to bring your kids to check out the airplanes, hot air balloons, and live entertainment. Less than 10 minutes from our office is Herrontown Woods Arboretum. The Arboretum has several miles of walking trails, a pine forest, and over 30 species of trees. You can also pack a picnic and search for the frogs and salamanders that make this area their home. Herrontown Woods is open to the public every day and is a great place for kids, and adults alike, to unwind and explore nature. In Princeton, there’s always something fun to do with your kids. If it’s not attending one of our annual festivals, it’s visiting one of the great parks or historical landmarks that our area boasts. One of our favorites is the Princeton Battlefield State Park, where George Washington crossed the Delaware. It’s a perfect picnic spot, or you can bring the kids to watch one of the re-enactments and learn more about our nation’s history. At Montgomery Pediatric Dentistry, your child's needs always come first. We're happy to welcome you and your family into our family. New patients are always welcome!